From a small drip to a larger spill, our hazmat cleanup spill absorbents are used for spills involving acids, bases and hazardous or unknown liquids. Hazmat spill control products offer quick, efficient response. 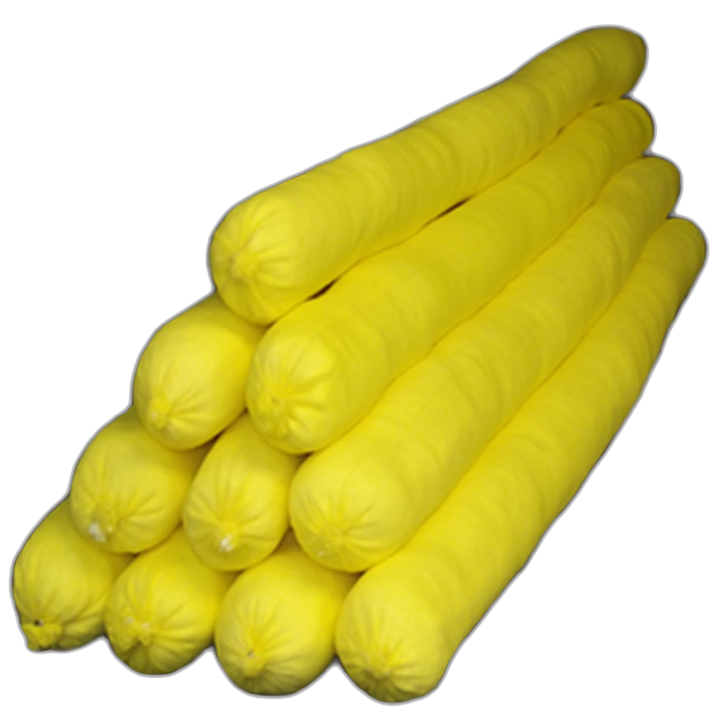 All hazmat absorbents are color-coded in safety yellow for quick identification. Hazmat spill control products are constructed of 100% polypropylene, designed to absorb the most aggressive acidic or caustic fluids. 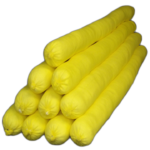 Hazmat spill cleanup products come in rolls, pads, booms, pillows, and socks with various lengths and widths. These are the highest quality hazmat booms, pads, socks, pillows, rolls or spill kits at the best available prices. Prices are based on minimum one pallet quantity. The pads and rolls will quickly absorb virtually all acid, base liquids and other hazardous liquids. They are specially treated to absorb high concentrations of acids, bases or unknown liquids better than any other absorbent in the market. Special bonded material to give added strength for tough jobs. 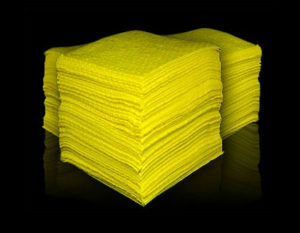 The yellow color alerts responders and disposal personnel of the special purpose absorbent. Our fiber technology is specifically designed to handle demanding tasks and large volume cleanups. Ideal for catching drips and soaking up spills. Flame-resistant material won’t burn immediately like cellulose absorbents. Our pads melt when exposed to high heat while on the job.